The lock screen feature of Windows 8 is interesting, but it seems like something that makes more sense on a tablet PC. Thankfully it’s easy enough to disable if you’re using a desktop or laptop instead. 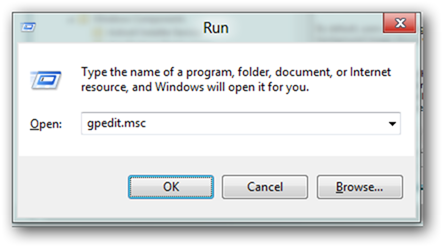 The first thing you need to do is to open the Local Group Policy Editor by pressing the Win + R key combination to bring up a run box, then type gpedit.msc and hit enter. 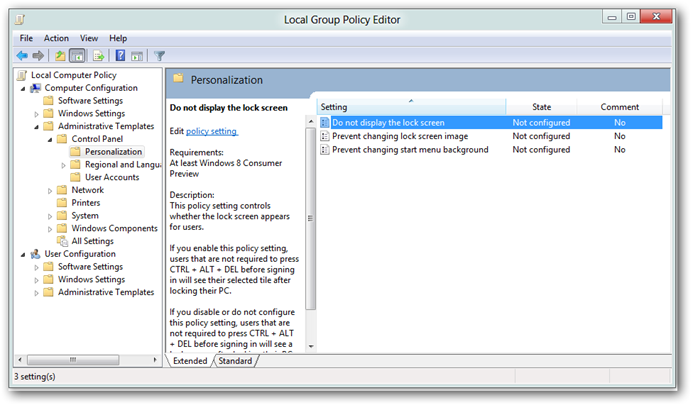 On the right-hand side, you will need to double click on the “Do not display the lock screen” setting. 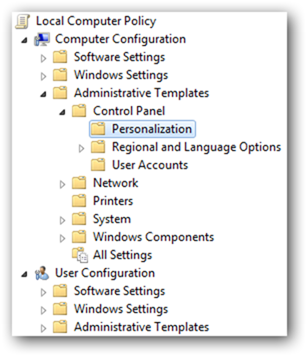 Change the radio button from “Not Configured” to “Enabled”, click apply and you’re good to go.